Florida Urology Partners is proud to introduce a powerful new MR solution for analysis, planning and targeted biopsy of the prostate. This complete clinical MR solution for the prostate consists of DynaCAD for Prostate and the UroNav fusion biopsy system – a comprehensive solution which offers a cutting edge imaging option for many patients with elevated and/or rising PSA levels. Targeted MR/ultrasound biopsy is poised to become the new standard in prostate care, and Florida Urology Partners is pleased to be one of the first urology groups in the area to offer this powerful solution to our patients. 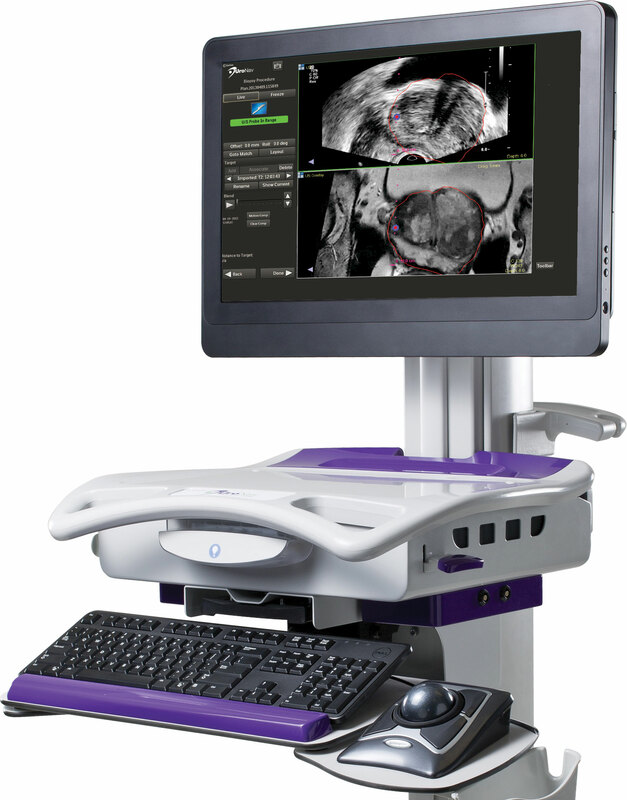 UroNav fuses pre-biopsy MR images of the prostate with ultrasound-guided biopsy images in real time, for excellent delineation of the prostate and suspicious lesions. The fusion of the MR and ultrasound images uses electromagnetic tracking, similar to your car’s GPS system; a tiny tracking sensor attached to the trans-rectal ultrasound probe generates a small, localized electromagnetic field that helps determine the location and orientation of the biopsy device. A sophisticated algorithm maintains the fusion of MR and ultrasound images, even when the patient moves. Please feel free to contact any of our locations to learn more about how Florida Urology Partners is using the latest in targeted MRI/ultrasound technology in our approach to prostate care.